It allows almost 60% of future NDIS participants the certainty of knowing when the NDIS is coming to them. Every Australian Counts Campaign Director, John Della Bosca, said: “We are delighted that Premiers Andrews and Baird have continued their commitment to people with disability by signing their NDIS agreements with the Commonwealth. “We now know when the NDIS will be coming to more than half of the people who will benefit from it. For people with disability, their families and carers, this is another step forward to the NDIS being a reality for them. “I would like to congratulate Prime Minister Turnbull on making the NDIS a commitment and keeping it core government business. This milestone comes after thousands of Every Australian Counts campaign supporters emailed their state or territory Disability Minister, calling on them to release their NDIS roll out plan. 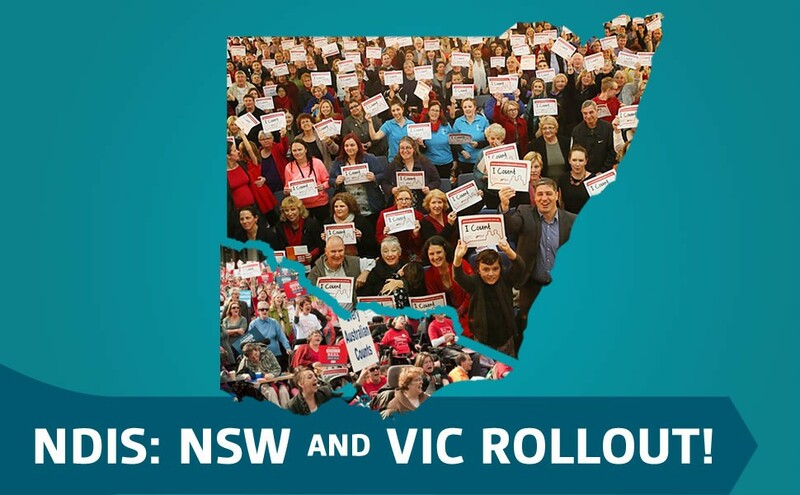 For those in NSW you can find out more details here. For those in Victoria you can find out more details here.